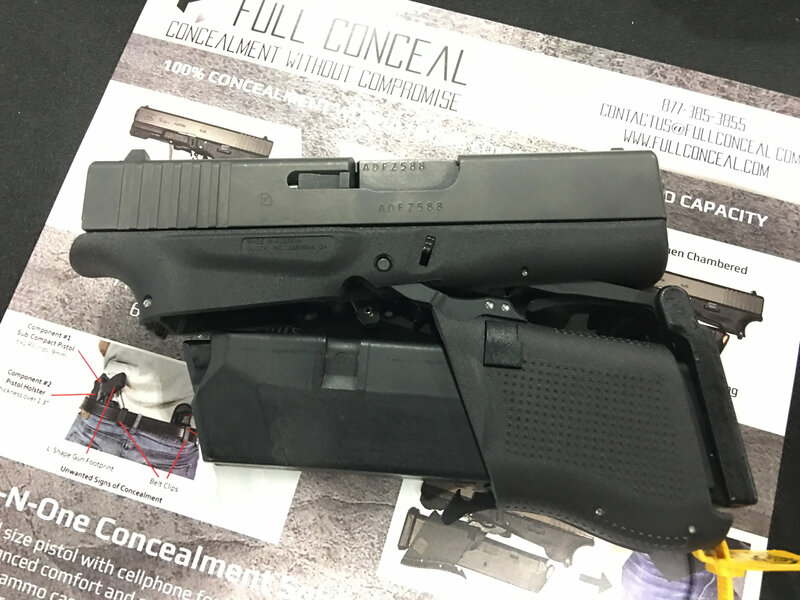 Full Conceal FC M3D (G19) and FC M3S (G43): Fantastic Folding Glock 19 and Glock 43 Pistol Packages for Deep-Concealment Concealed Carry (CCW) and Covert Operations! (Videos!) | DefenseReview.com (DR): An online tactical technology and military defense technology magazine with particular focus on the latest and greatest tactical firearms news (tactical gun news), tactical gear news and tactical shooting news. 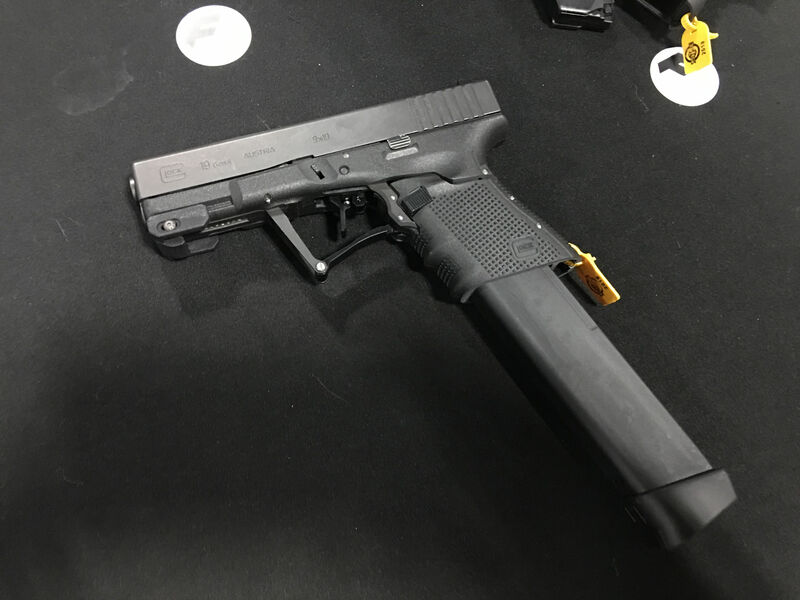 DefenseReview (DR) saw some nice things at SHOT Show 2019, but some things interested, intrigued and delighted us more than others. The Full Conceal FC M3D(G19) and FC M3S(G43) hit all those pleasure centers for us, since we’re Glock guys, and we dig interesting mechanical things…and folding Glock pistols are particularly interesting. 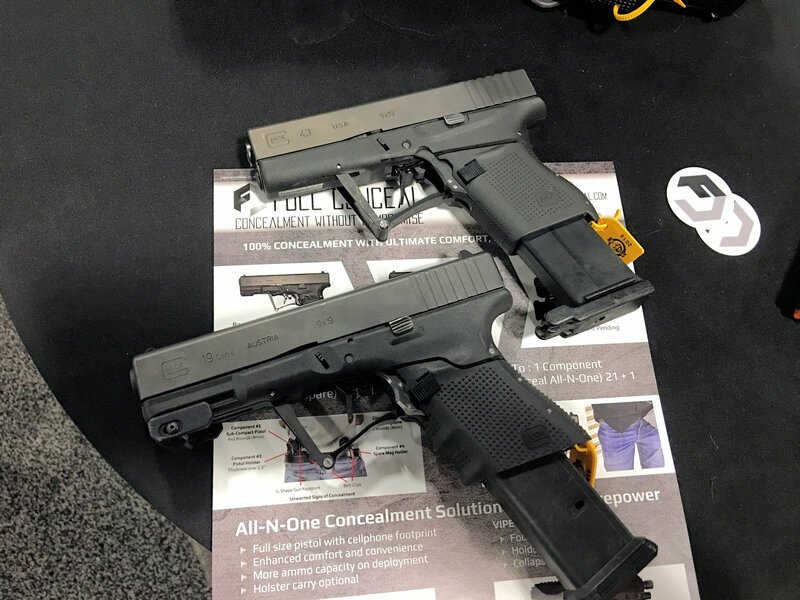 In fact, the Full Conceal M3D(G19) and M3S(G43) were easily two of the coolest things we’ve ever handled at SHOT, period. Frankly they belong in a Bond (James Bond, 007) movie. Full disclosure up front, DR hasn’t run them at the range yet, but if they work as reliably and durably as Full Conceal president/CEO Mike Full claims, we’re going to love them. The primary concern DR had upon handling the guns were their unique proprietary (and, we’re assuming, patented) forward-folding flat trigger system, but Mr. Full assured us the trigger’s reliable and durable, and works like a charm. He also discussed how the trigger system remains totally safe while folding the weapon, and while the weapon is in the folded state, since it’s apparently impossible to accidentally engage in either circumstance. DR also really liked how the mags (magazines) can feed reliably into the FC M3D(G19)’s and M3S (G43)’s respective magwells (magazine wells) every time without having to position them precisely beforehand. There’s a lot of leeway (room for error) built into the system, in this regard (folded grip/magazine positioning). We dig that. 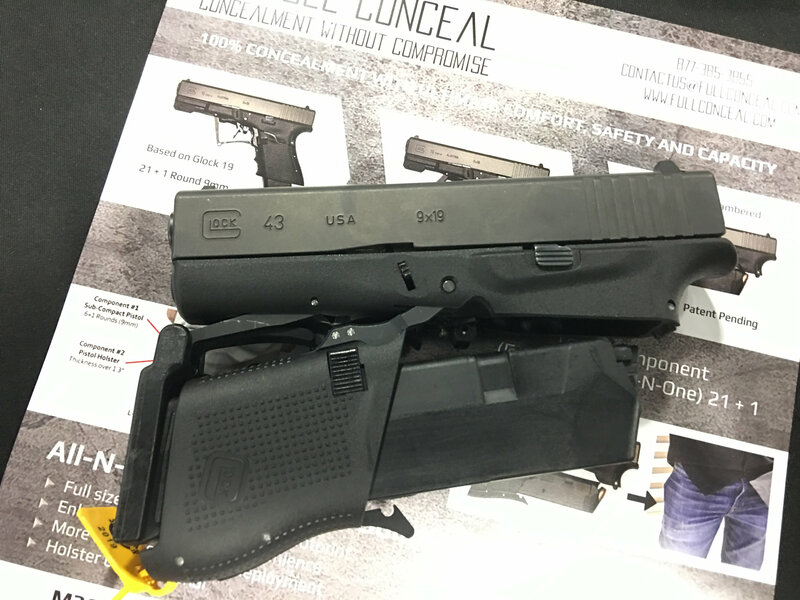 DR was also impressed with how quickly and easily the Full Conceal M3D(G19) and M3S(G43) can be deployed from a front pants pocket, and how well they conceal in the pocket while folded, even the FC M3D(G19) with a 33-round mag. Essentially, they print kind of like a large cell phone in your pocket. Pretty cool. Mr. Full also demonstrated how the guns can be pre-deployed under your arm, if you’re in a developing situation. You can see this in one of the (DR) videos featuring him demo’ing the system below. For maximum engagement speed, DR would carry the M3d(G19) or M35D(G19) or M3S(G43) chambered, which Mr. Full says is totally safe, i.e. as safe or safer than a standard G19 or G43, particularly while the guns are in the folded state. 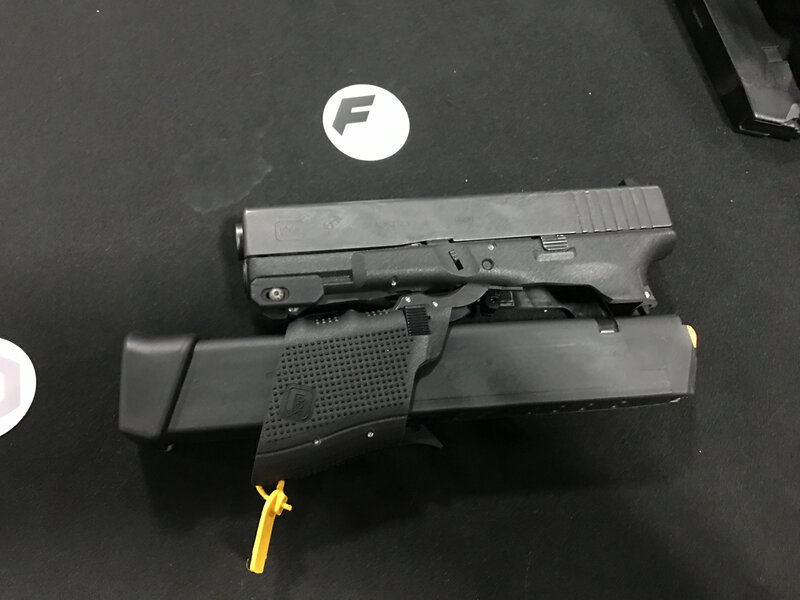 Again, when deployed/undolded, Mr. Full told DR that the Full COnceal folding Glocks are as safe as standard Glock pistols. That said, for liability reasons, we’re (DR) NOT advocating chambered carry for the reader. That’s just how WE would do it, ourselves, due to our desire for maximum engagement speed in an actual armed (self-defense) confrontation. Finally, DR just likes the way the guns look, booth while folded and deployed/unfolded. 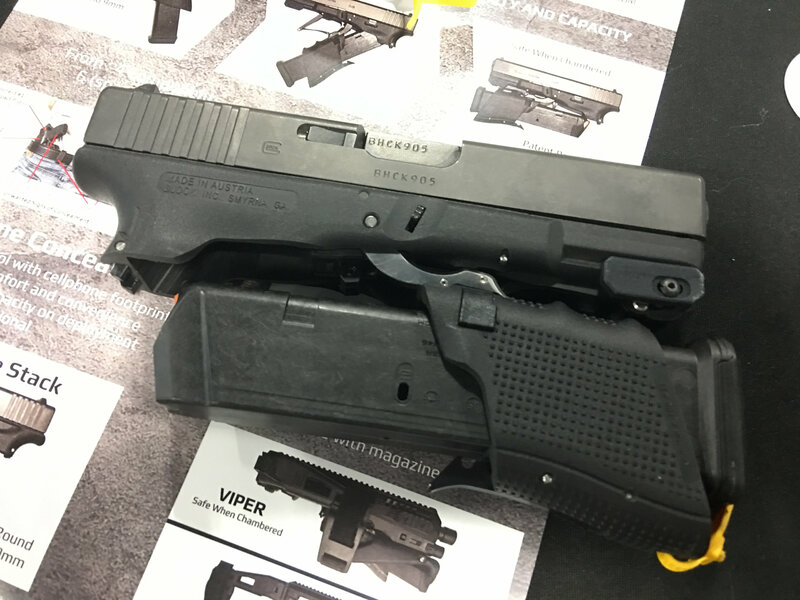 The Full Conceal folding mechanism (including the folding trigger guard) and folding trigger are both really well-designed, and the overall package looks really good. It’s a slick design. 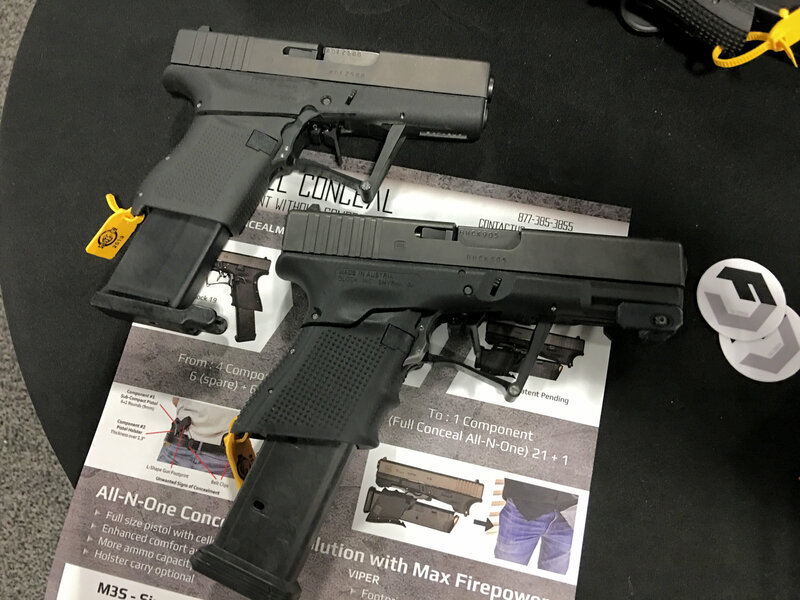 Needless to say, Defense Review would very much like to get both guns (M3D(G19) and M3S(G43)) into DR writer/contributor and chief new-product tester Jeff Gurwitch’s extremely capable hands for some serious running and gunning at the range, at some point in the not-too-distant future, and report back to our readers on his experience with them. If he likes and signs off on them, they’re good to go, and ready for covert missions anywhere in the world. 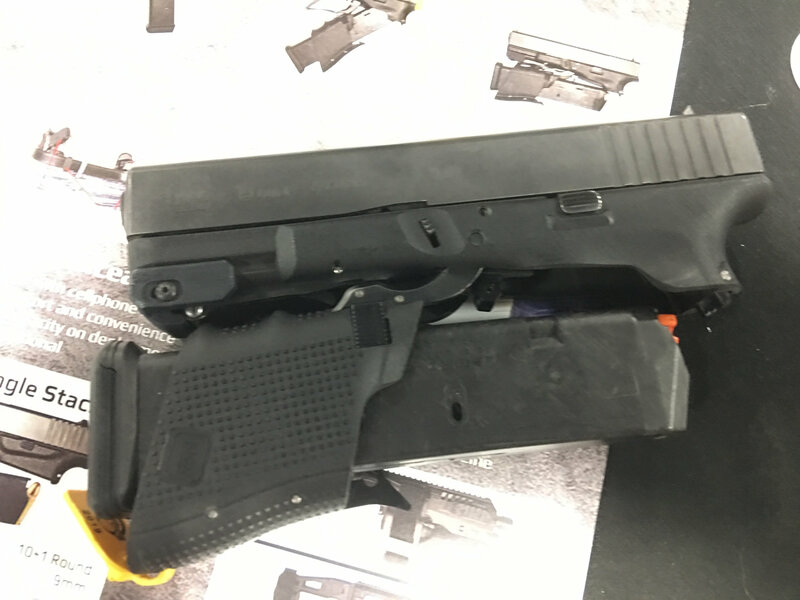 Editor’s Note: Your humble correspondent’s current daily concealed carry (CCW) gun is a G19 (Glock 19), so we’re particularly interested in the FC M3D. 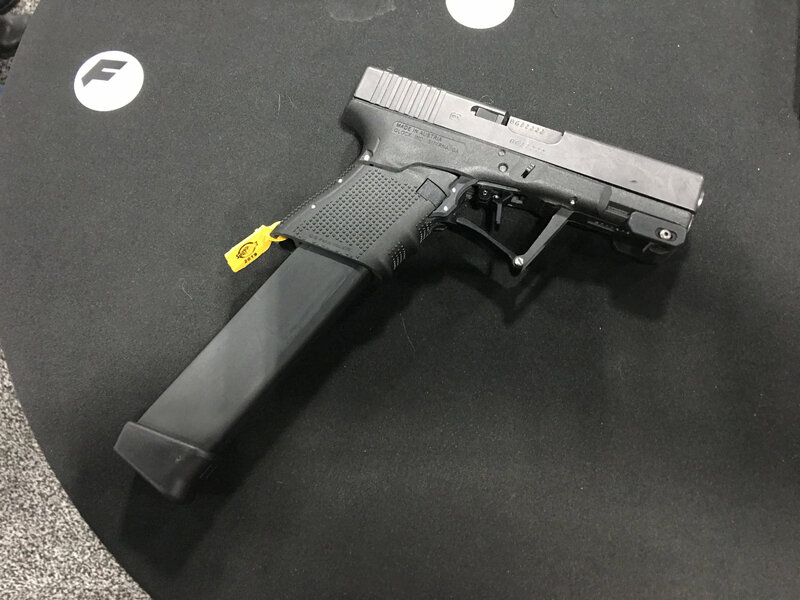 We’d also like to see an all-black FC M3S (G48) developed and offered, as the Glock 48(G48) is essentially a slimline, single-stack G19, and very likely our next CCW gun purchase. 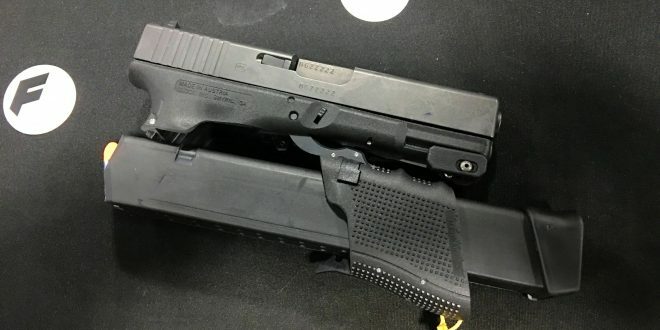 In fact, a folding G48 may just be the ultimate deep-concealment concealed CCW pistol.